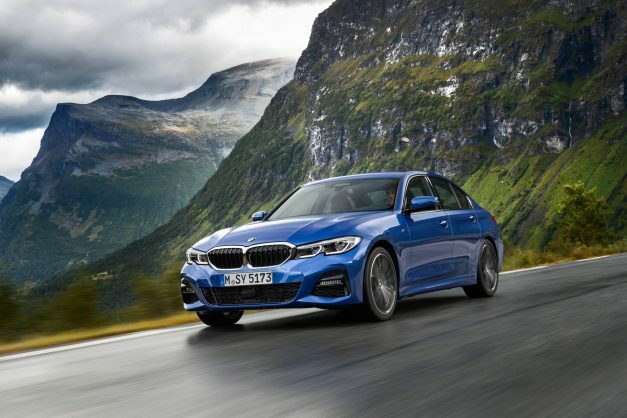 BMW’s ever fresh 3 Series has just entered its seventh generation. And if you can remember Michael Knight and his car “KITT” from the 80s TV series Knight Rider, then you are old like me. The series starred David Hasselhoff, a then high-tech modern crime fighter assisted by “KITT”, an advanced artificially intelligent, self-aware and nearly indestructible car. “KITT” – Knight Industries Two Thousand – was a heavily modified, technologically advanced Pontiac Firebird Trans Am with body armour type features, as well as being able to understand and react to its owner’s voice. Actually, half the time, “KITT” and Knight spent a fair amount having rather deep conversations. Unthought of stuff way back then. About now, you might be wondering what this has to do with the all-new G20 3 Series? Well, now more than 30 years later, voice-command type software is available on a number of very ordinary vehicles. 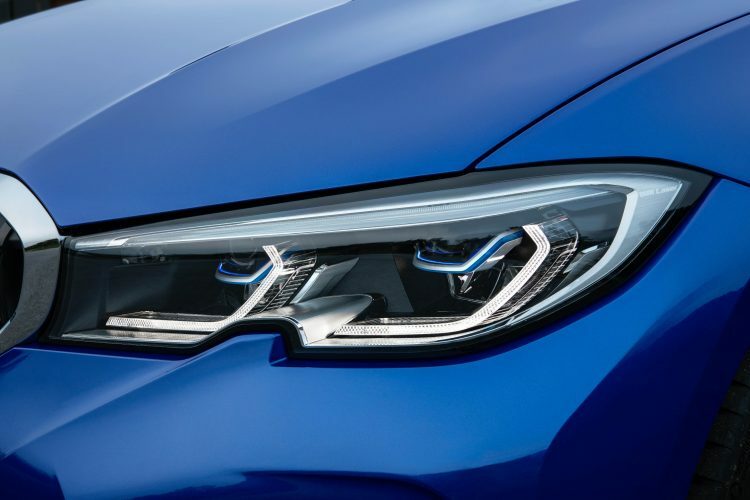 But for the new 3 Series you now get what is called the BMW Intelligent Personal Assistant, and it is basically what its name says it is, an intelligent, digital character that responds to your voice prompts. But – and here is the big but – you can address your car by saying: “Hey BMW”, or you can change the name to whatever you want it to be like, say KITT, and your new 3 Series will respond to its new name. And where it gets weird for those that are a little wary of having conversations with machines and getting actual answers back, the commands are not just linked to a simple list of instructions. You can ask your BMW how the weather is at home; what is the range left in tank; are there any warning messages from the car; or telling it that you are bored, and it will offer to switch the car into Sport mode; or that you are feeling tired, and it will put on some loud music, change the interior lighting and cool down the aircon and pulse this fresh into the car. There is seriously almost nothing that this Intelligent Personal Assistant can’t do. So, if you are going to embrace the future, you need to start practicing having conversations with your car. But as good and class-leading as it is, it does have its quirks. If you happen to have human company in the car and are having a conversation, the car eavesdrops on this, and during our launch drive, it would recognise certain words, or parts of words, and this would trigger the system and ask us if we needed assistance with something or change the media player or the map or whatever. The good news is, we were told by BMW that you can switch the system off, but why would you? The range of functions and skills available will be constantly expanded as part of regular updates, which can be carried out seamlessly on a smartphone and in-car by Remote Software Upgrades. So, it will constantly improve. Talking of improvement, the all-new interior has been given a thorough and modern update at last and is now on par with the best in the segment. The controls are clustered into clearly structured function panels. 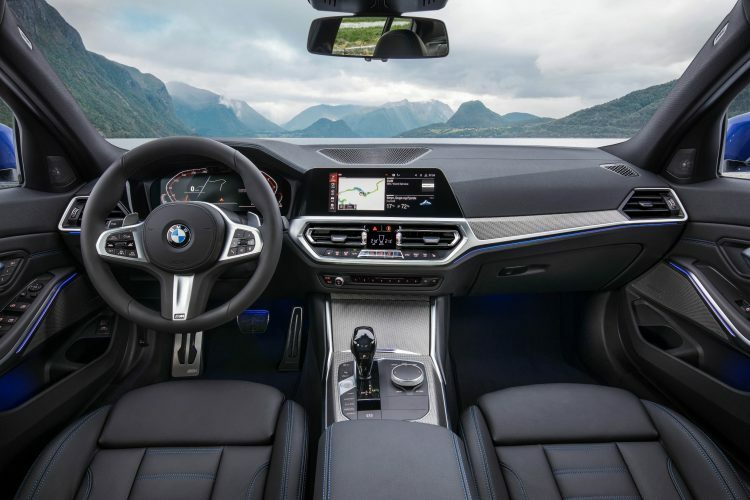 Staying with the digital, you get the new BMW Operating System 7.0 which optimises the control and display system with modern, digital functions that are geared precisely to your needs. Moving outside, the vehicle’s styling cues are sharper, and obviously as is the case these days, it is longer, wider, taller, with a longer wheelbase and wider track width, and up to 55kg lighter. So it looks all-new, which it is, and you almost instinctively know it is going to handle better than ever before and be the most dynamic offering in this class. Although in saying that, one person’s dynamic is another person’s lively, but if you like a car that excites, this is for you. In March 2019, we will get two derivatives at launch, a 190kW, 2.0-litre turbocharged petrol 330i and a new 140kW 2.0-litre dual turbcocharged diesel 320d. 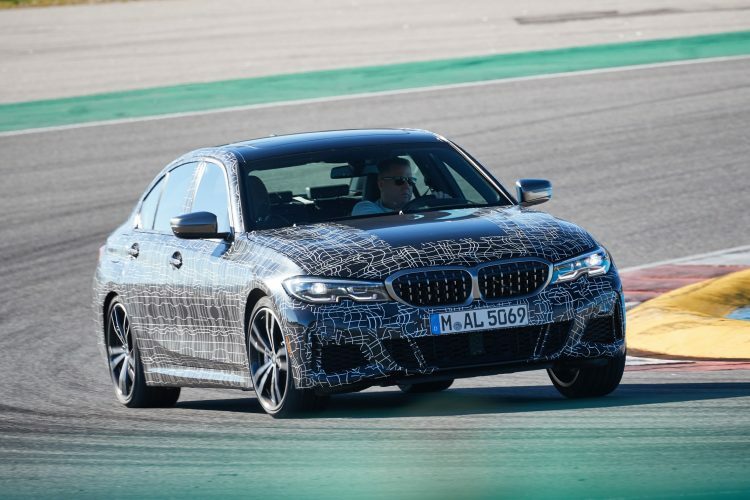 Then around midyear, the 135kW, 2.0-litre turbocharged petrol 320i will arrive, and finally a 275kW, 3.0-litre turbocharged M340i xDrive model should arrive in the third quarter, and this model will take care of any handling fears or lack of ability you might have. We drove the 330i and 320d on the roads in and around the Algarve region of Portugal and the lower centre of gravity and perfect 50:50 weight distribution, and stiffer body and chassis made for rather rapid and easy progress. 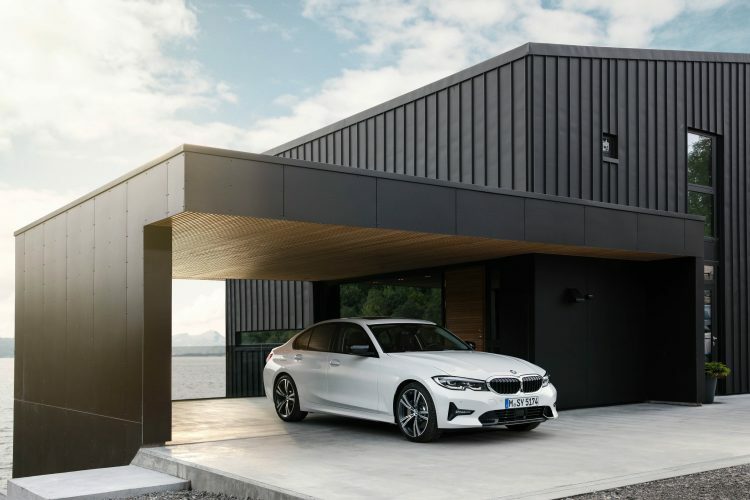 The standard-fitted suspension and optional M Sport suspension both include lift-related dampers, which are making their debut in a BMW model, and feature continuously variable control that allows them to adjust the damper firmness progressively according to changing spring travel. This reduces body movement perceptibly when evening out vibrations caused by bumpy road surfaces and dynamic cornering. The 10mm-lower M Sport suspension is joined on the options list by Adaptive M suspension with electronically controlled dampers. M Sport brakes with four-piston fixed calipers at the front can also be ordered, as can an M Sport differential for the BMW 330i. You also get variable sport steering when you opt for one of the optional suspension variants. As a bonus, we got to do a few hot laps around the spectacular 4.7km Portimao Circuit in the M340i xDrive. That was quite a treat and the way that this car turns into a corner and then hooks up coming out again is nothing short of impressive. It is really like going fast for dummies but in a safe and controlled way. Perhaps my only complaint is that the traction control systems are rather sensitive to over-aggressive driving. Maybe if we were allowed to switch all the nannies off and risk being that guy that puts a world launch car in the wall, I would have been able to test the limits of rear grip a bit more. But for the average driver, what the car offers as is, is more than they will ever be able to use. I would need way more space to get into the details of the significantly expanded selection of innovative assistance systems that are taking a leading role in the charge to automated driving. 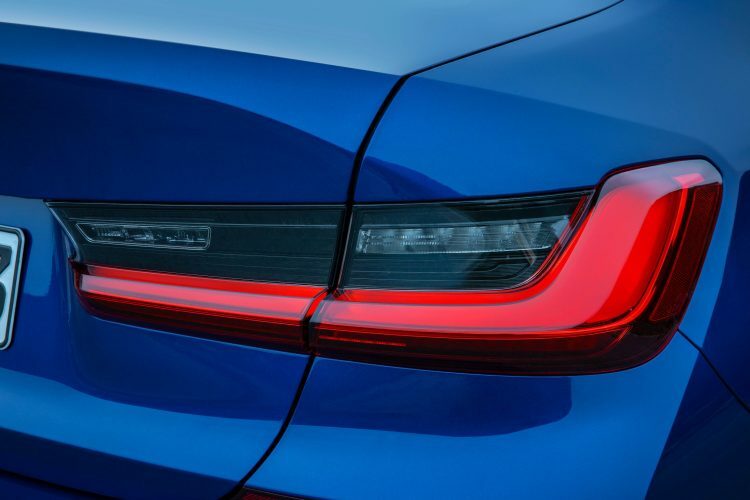 But just know that you have the likes of Lane Departure Warning, plus Collision and Pedestrian Warning with City Braking function, and options that include Active Cruise Control with Stop & Go function and the Driving Assistant with Lane Change Warning, Rear Collision Prevention and CrossTraffic Alert to name just some of the tech on board. 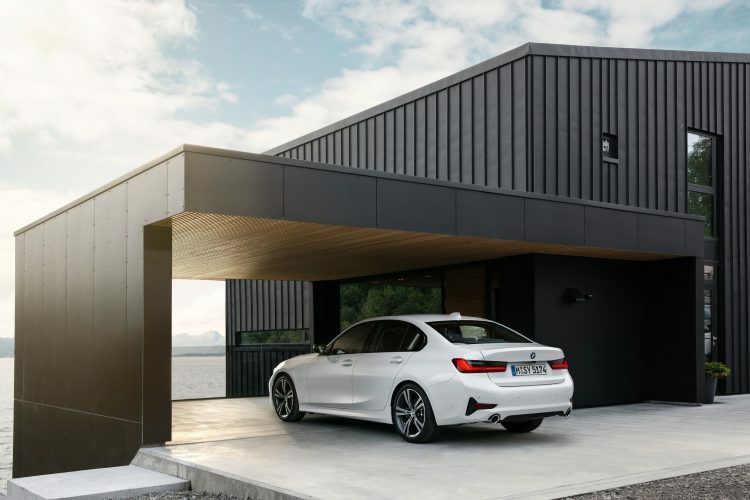 Mercedes-Benz currently offers the best package with their C-Class, but BMW is once again going to move this benchmark forward with their all-new G20 3 Series sedan, and the chase for the other premium manufacturers will be back on again. Some of the tech needs getting used to. Back to the top of the class in this segment. This is KITT 2.0 and then some.